I am a broken vessel. We are all broken vessels. We are broken because we don’t believe the truth about ourselves. We have been lied to by the enemy. We have been told we are too much, too little, too big, too skinny, too fat, unintelligent, and we have believed it all. Or most of it anyway. Oh if only it were that simple. It really is that simple. But we are human. Sometimes I know the truth, but I am not set free by it. I battle with anxiety and depression, not every day. It ebbs and flows. Sometimes I’m doing really well for months, and then it all slowly degenerates and I suddenly find myself in a pit again. Let me tell you, I know Philippians 4:6&7 off by heart: Be anxious for nothing, but in everything by prayer and supplication, with thanksgiving, let your requests be made known to God; and the peace of God, which surpasses all understanding, will guard your hearts and minds through Christ Jesus.- I know the truth. 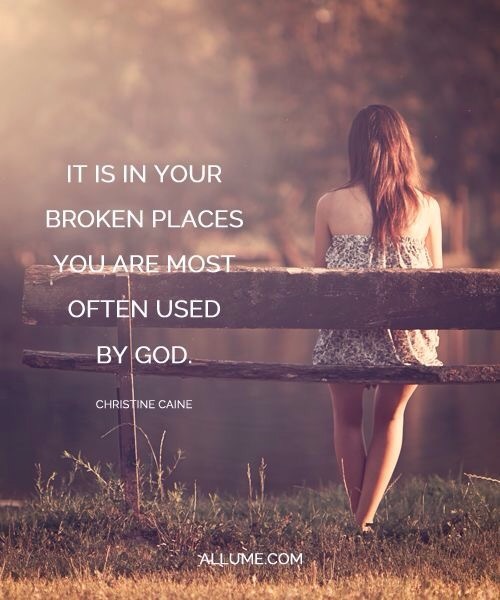 You see, sometimes we don’t know where our brokenness is. I need to know the truth in my brokenness, in the place where the iniquity is. Until I know that, knowing the truth everywhere else, will make no difference to me. But God uses the process of our iniquity and brokenness to shape us and build character, and purify us. When I am weak He is strong 2Cor 13:9. Christ in me the hope of glory Col 1:27. He uses my brokenness to remind me who He is, and how small I am in comparison. So that it can always be about Him, and never about me. He fills in all my gaps, and His grace is sufficient for me 2Cor 12:9. In the process, He reveals Himself to me, and slowly gets me closer to the place where all my fears sit. He builds my trust in Him, so that I will trust Him enough to bring healing to my most vulnerable places. Until then I will endeavor to be kind to broken people like me, that is all people. I will be gentle. Because I don’t know where others are broken, I will try to be gentle with them everywhere.